I am a licensed Branch Manager that offers my customers more than 20 years of real estate experience to help them through the home buying or refinance process. Kathy Sheehan has been a professional in the real estate industry for nearly 20 years, her experience includes working for a third party relocation company; a real estate consulting company; selling foreclosed properties (REO) for FannieMae through direct marketing, asset management companies and auctions; as a real estate broker and mortgage loan originator. Her work experience from each of these companies has developed a comprehensive understanding of the entire real estate process. It is important to remember that each home buyer's situation is different and must be evaluated individually. What works for one, might not work for another. Consequently, Kathy uses her knowledge of loan programs and the borrowers specific situations to develop the best plan, to deliver the best results and achieve the financial goals established by her client. Her philosophy is simple, dreams can come true with a little preparation especially the dream of homeownership. Kathy holds a Bachelor of Science in Business Administration (Finance) from the University of Tulsa. As a real estate broker, she earned the GRI designation through the National Association of Realtors. In addition, she has received numerous sales awards through the MLS system and local board of Realtors. With her sales skills and knowledge, she has been asked to train other agents. Kathy is currently individually licensed in accordance with the new mortgage licensing laws through the National Mortgage Licensing System and the State of Georgia. Kathy has been a member of Business Network International (BNI) and the Marietta Business Association for the last 5 years. As an active networker, Kathy has successful referral partners that help her business and her clients. 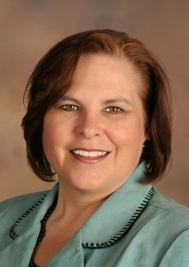 On a personal level, Kathy is currently serving as President of the Tulsa University Atlanta Alumni Club and is an affiliate member of the Cherokee Women's Council of Realtors. For the last 4 years, Kathy has also volunteered her time at Cherokee County high school as a project mentor and judge for senior projects. As a student at the Florida Culinary Institute, Kathy was introduced to the Share Our Strength organization. Since that time, she has been a long time volunteer to support Share Our Strength, a non-profit organization aimed to end childhood hunger in the USA by 2015. If you would like to see ways to help, please check out the website. www.strength.org. Conventional Conforming (FannieMae/FreddieMac) for borrowers looking for financing for their primary residence, second home and investment properties. Other county specific down payment assistance programs. Minimum credit scores apply to all programs. Excerpt from an email I received today, "I have read up on Rainmaker regarding your summary of experience and feel I have made the right decision. I have faith in you and your many years of home buying. Thank you again, Theresa"